The data presented here are partly finalised. They are taken from a survey of resources dedicated to R&D in 2013, carried out on public organisations that perform research work: government departments, EPSTs, EPICs, higher education institutions, university hospitals, cancer research centres and not-for-profit institutions. France's public research institutions are made up of eight EPSTs (the CNRS, French Institute of Science and Technology for Transport, Spatial Planning, Development and Networks (IFSTTAR), INED, INRA, French National Institute for Computer Science and Applied Mathematics (INRIA), INSERM, IRD and the National Research Institute of Science and Technology for Environment and Agriculture (IRSTEA)) and twelve EPICs or similar types of organisations (the public body in charge of the long-term management of all radioactive waste (ANDRA), BRGM, CEA, CIRAD, CNES, CSTB, IFREMER, INERIS, IPEV, IRSN, LNE and ONERA). The IPEV has been a public interest group (groupement d’intérêt public) since 2011, but has been categorised as an EPIC for the purposes of the survey on resources dedicated to R&D. For the CEA, the results only relate to the civil section. - experimental development involves systematic work that draws on existing knowledge gained through research and/or practical experience with the aim of manufacturing new materials, products or devices, creating new processes, systems and services or significantly improving existing ones. In 2014, the gross domestic expenditure on R&D (GERD) of France's main public research institutions amounted to €9.1 billion, down by 1.1% in relation to 2013. These institutions carry out 55% of public research and are key stakeholders in research and development in France. The French National Centre for Scientific Research (CNRS) and the civil division of the French Alternative Energies and Atomic Energy Commission (CEA) conduct a third of public research, with GERD of €5.5 billion. Eight State-owned scientific and technological establishments (EPST) and a dozen State-owned industrial and commercial establishments (EPIC) make up France's main research institutions. They are supervised by one or more government ministries and have a public service remit. Their primary objective is to carry out research, particularly in fields or to achieve aims agreed in long-term target and performance contracts signed with the French government. They conduct more than half of public research and nearly a fifth of all research carried out within France (by both government bodies and enterprises) and as such are key stakeholders in the country's research and development sector. In 2014, these key public institutions invested €9.1 billion in GERD, equivalent to 54% of public research, with EPSTs accounting for 32% and EPICs 22% (table 29.01). After a slight increase of 0.1% in volume between 2013 and 2012, their domestic R & D expenditure is down 1.1% in volume compared with 2013. This decrease is mainly due to EPIC (-2.1% in volume). The CNRS and the CEA are France's two largest research institutions. In 2014, they were responsible for 33% of all public research between them (19% for the CNRS and 14% for the civil division of the CEA). 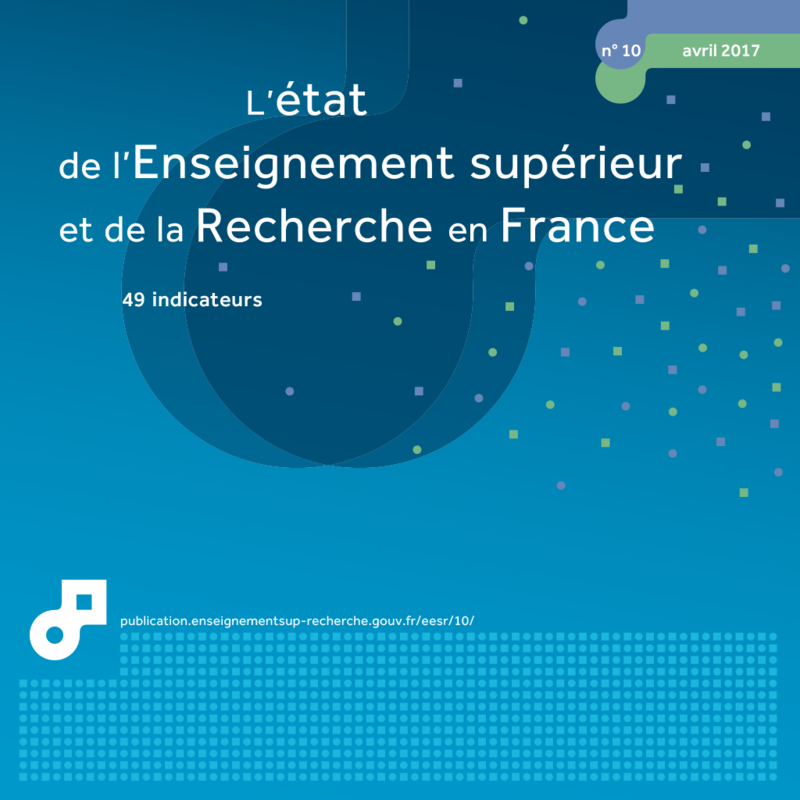 France's other research institutions are smaller in size: the French National Institute for Agricultural Research (INRA) and the French National Institute of Health and Medical Research (INSERM) each account for 5% of public research, while the French Government Space Agency (CNES) is responsible for 3%. The remaining public research institutions each account for 2% or less of research in France. Some institutions focus primarily on fundamental research (chart 29.02). In 2014, this kind of research accounted for 89% of CNRS R&D expenditure and all R&D spending by the French Institute for Demographic Studies (INED) and the French Polar Institute (IPEV). Other institutions are more focused on applied research, such as the civil division of the CEA (80% of its GERD), the French Government Geological Survey (BRGM), the Scientific and Technical Centre for Building Trades (CSTB) and the National Competence Centre for Industrial Safety and Environmental Protection (INERIS). Public institutions do not always fund all of their research work using domestic expenditure, but also use external expenditure (DERD); they sometimes enter into partnerships or subcontracting arrangements with external organisations, such as enterprises, foreign governments, international organisations and foreign teams. In 2014, their R&D extramural expenditure was €0.7 billion, a share that still represents less than 7% of their external research work (chart 29.03). Although the BRGM, the civil division of the CEA, the French Research Institute for the Exploitation of the Sea (IFREMER), the National Metrology and Test Laboratory (LNE) and the French National Aerospace Research Centre (ONERA) fund nearly all their work from intramural expenditure, with less than 5% of their research conducted externally, the French Agricultural Research and International Cooperation Organisation (CIRAD), French Government Space Agency (CNES) and the Institute of Research for Development (IRD) sub-contract over 20% of their research work. Of this extramural expenditure, the proportion of research work carried out in collaboration with foreign governments increased very slightly in comparison with 2014. The ONERA and INSERM primarily entered into research partnerships with public sector bodies (chart 29.04). By contrast, the IFREMER relied on businesses. The French Agricultural Research and International Cooperation Organisation (CIRAD) and the IRD were an exception to the rule by investing 96% of their DERD abroad and with international organisations, due to their international missions and institutions. Extract from the chapter "29. R&D expenditure by France's main public research institutions". 1 Main public institutions in terms of GERD - excluding the CNES, INRA and IRD (breakdown data not available). 1 Main public institutions in terms of GERD. 2 Intramural expenditure on R&D (GERD) + Extramural expenditure on R&D (DERD). 1 Main public institutions in terms of GERD, excluding the CEA (data not available).